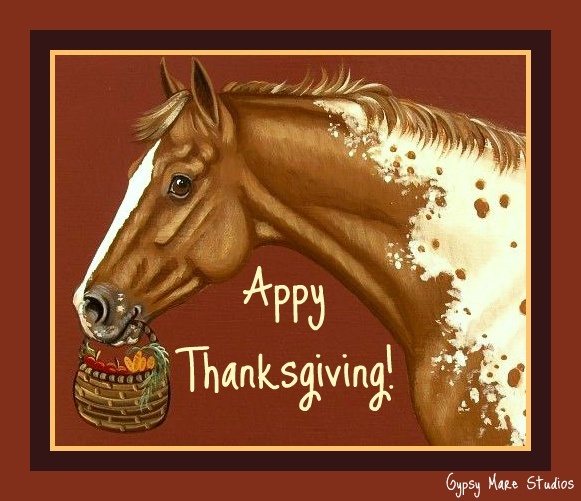 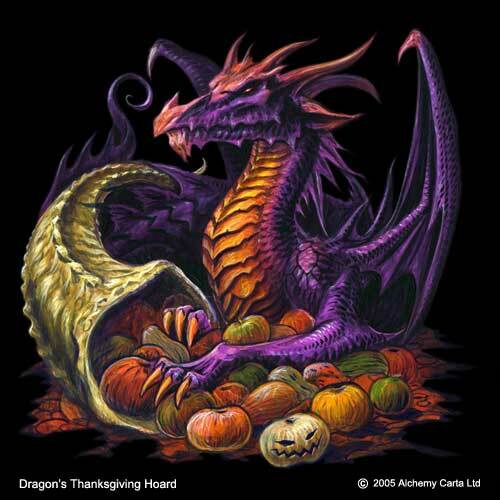 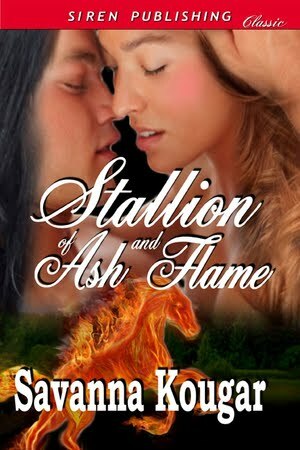 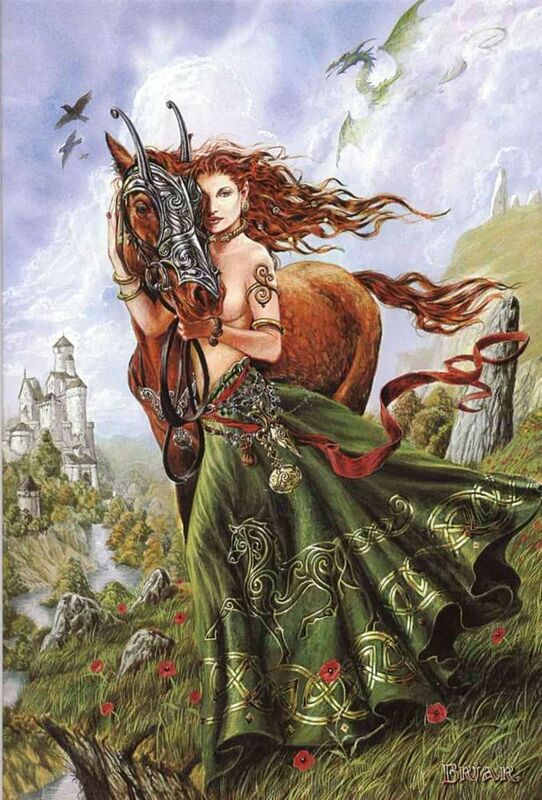 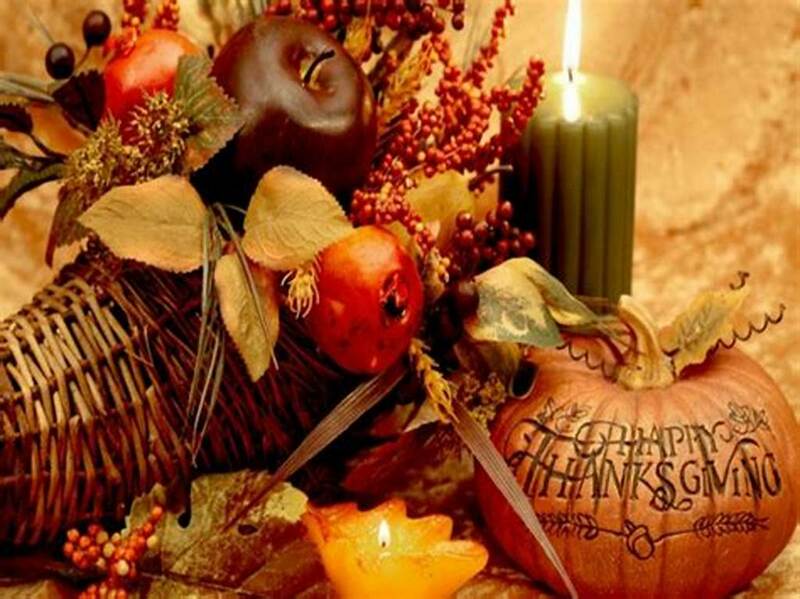 BELATED HAPPY THANKSGIVING, shapeshifter lovers. 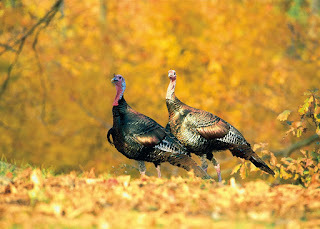 Yes, the Turkey Shifter Clan is out in force, enjoying the very cool Autumn days. 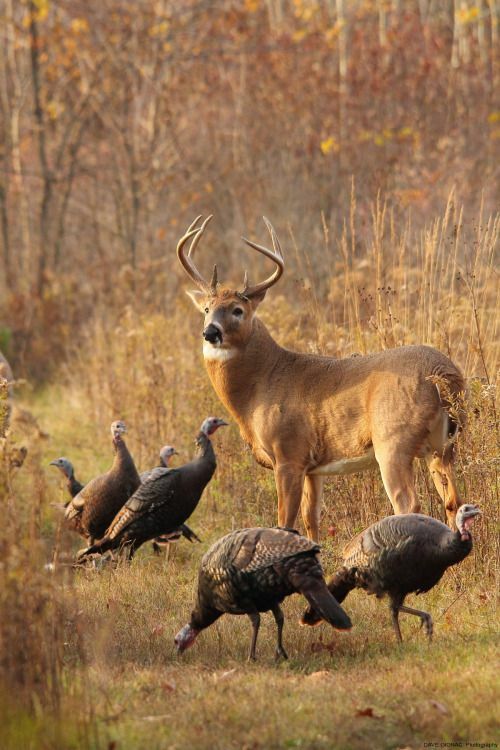 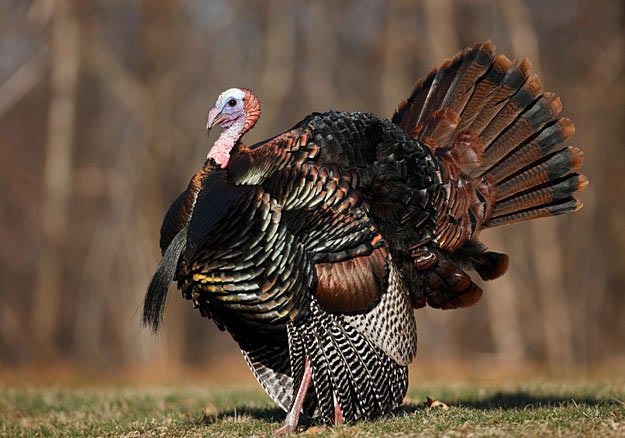 Of course, no one in Wolf Peak Territory would harm one feather on any of the Turkal family. And would protect them instead. 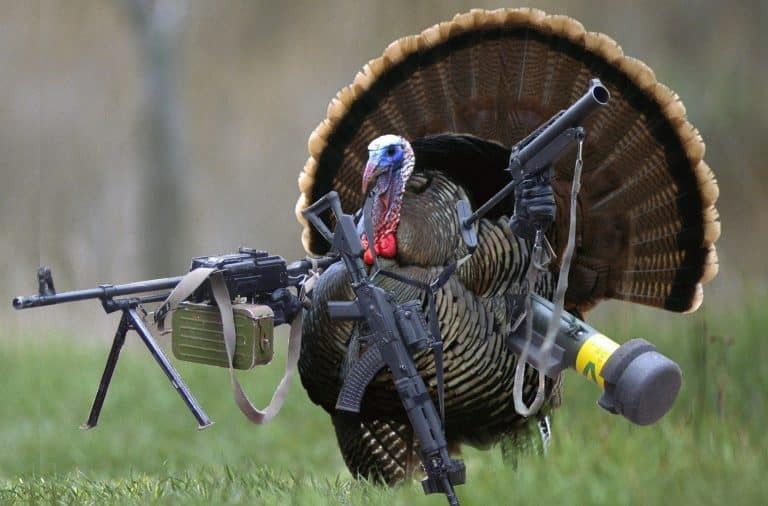 But you can't be too careful in these explosive *enemies everywhere* times. 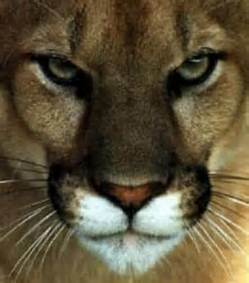 Not to mention there are bigtime, nasty enemies in neighboring Talbot Peak Territory. 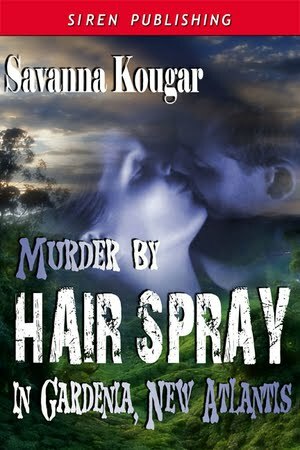 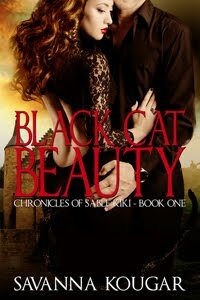 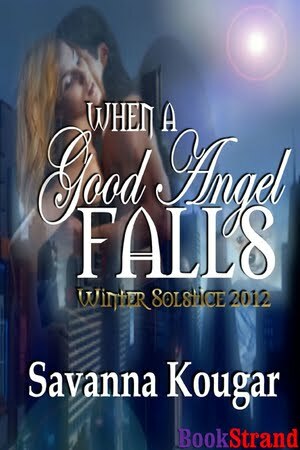 This is because the Talbot Peak shifter/supernaturals are beneath the control of the bad guy/gal, darkside Paranormal Cabal. Thus, training in weapons is a must. 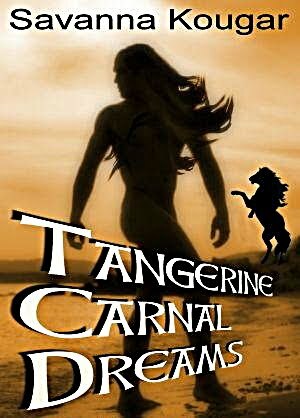 And the Turkal Clan runs some of the best training camps for children and adults. 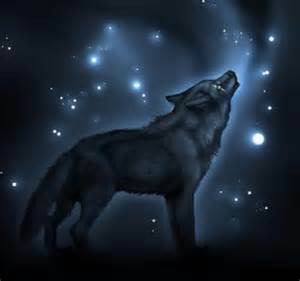 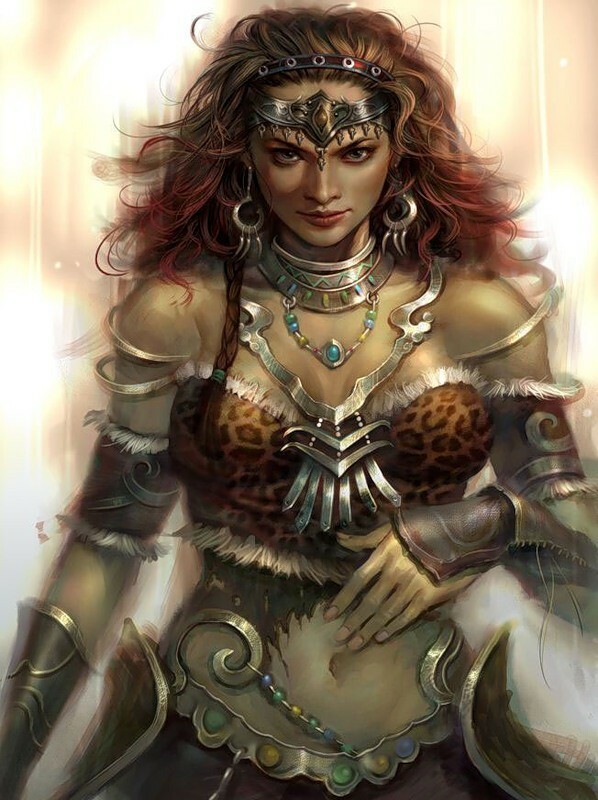 They are also top advisors to Dante---alpha wolf leader of the Peak---on the latest and greatest weaponry. 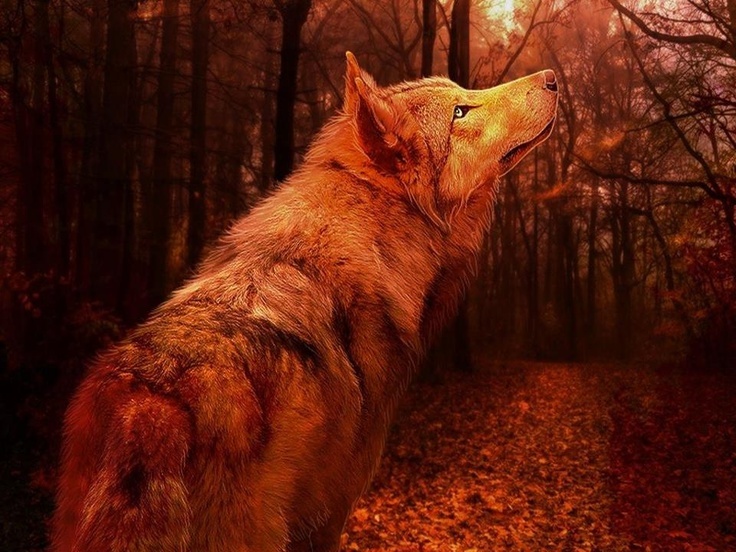 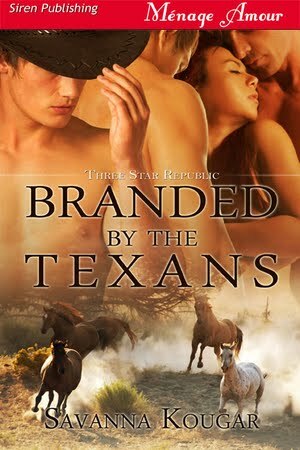 IN MOONRISE LAKE, THE SMALL TOWN IN WOLF PEAK TERRITORY, THERE IS A LARGE VINTAGE-LOVER'S GROUP. 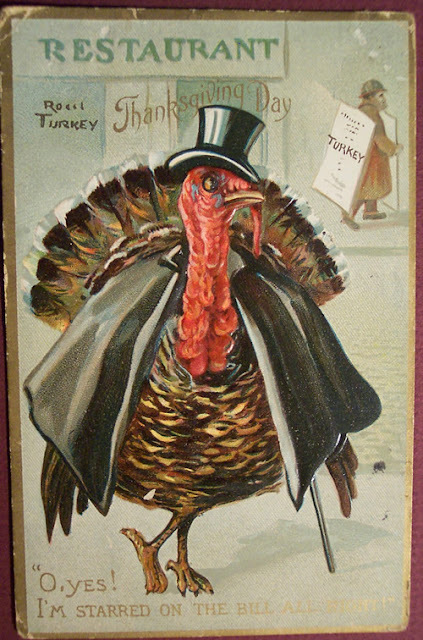 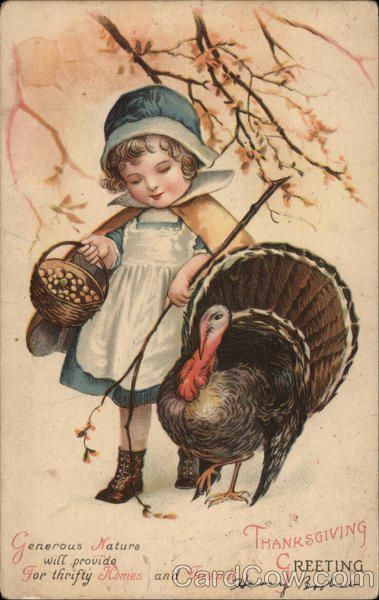 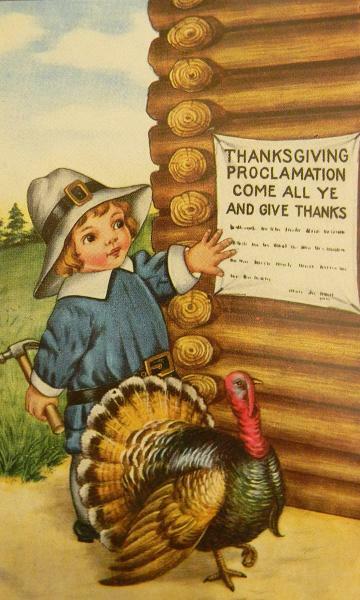 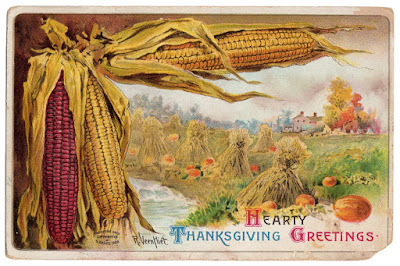 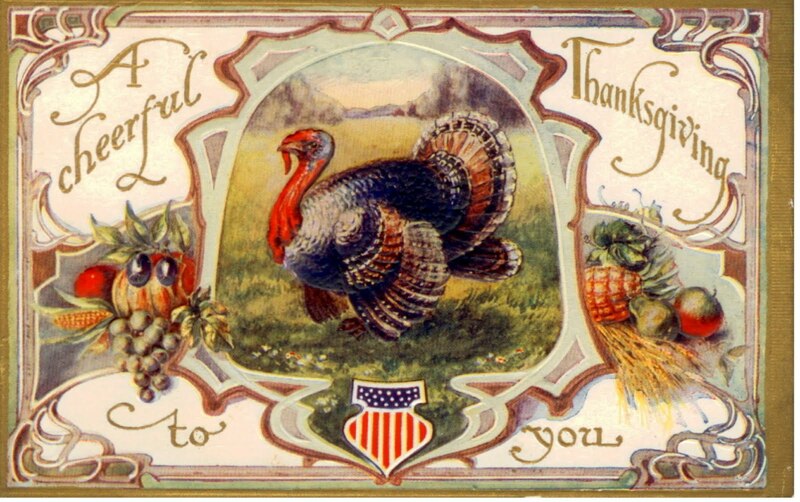 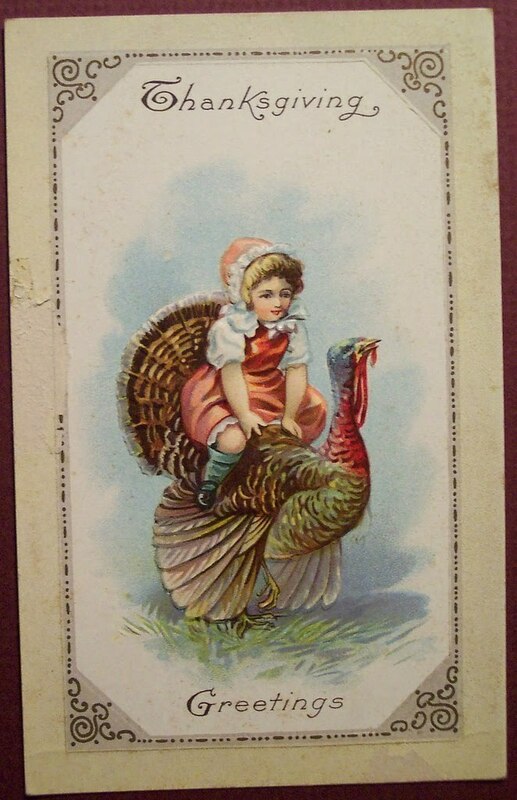 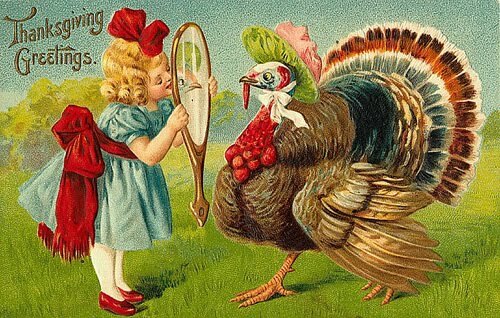 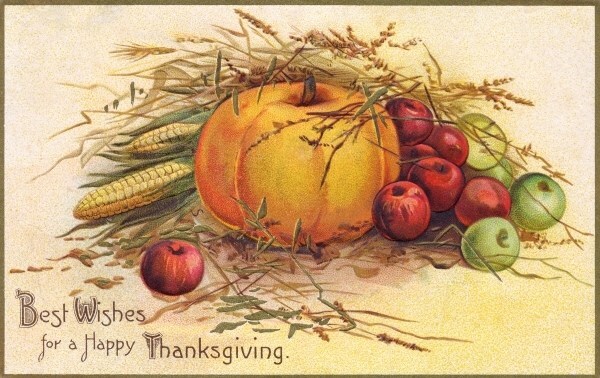 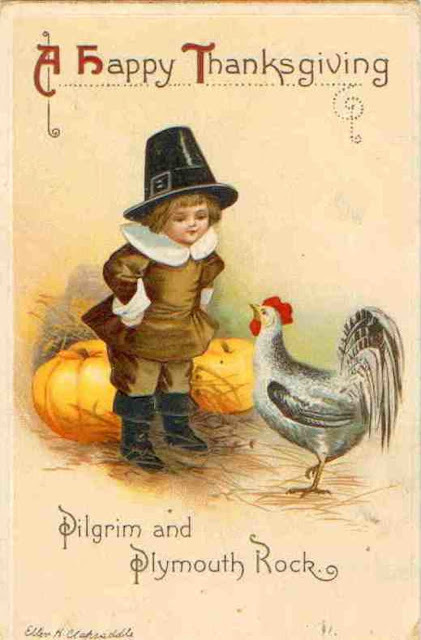 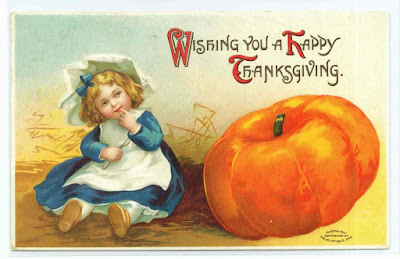 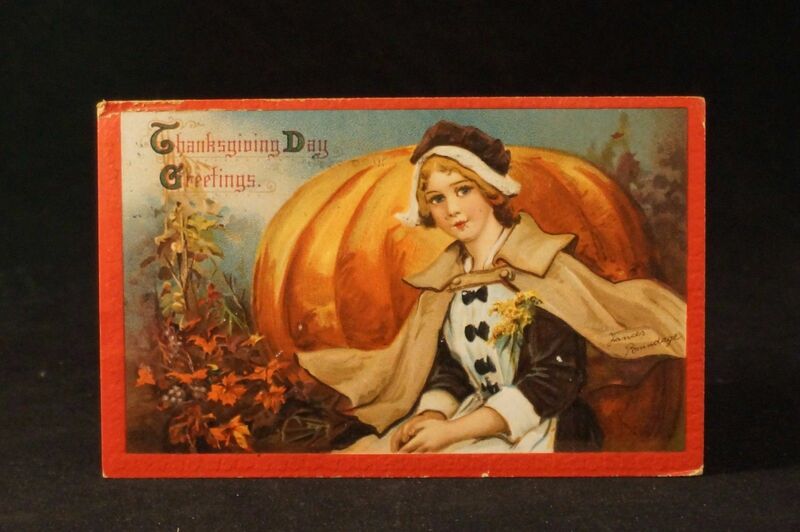 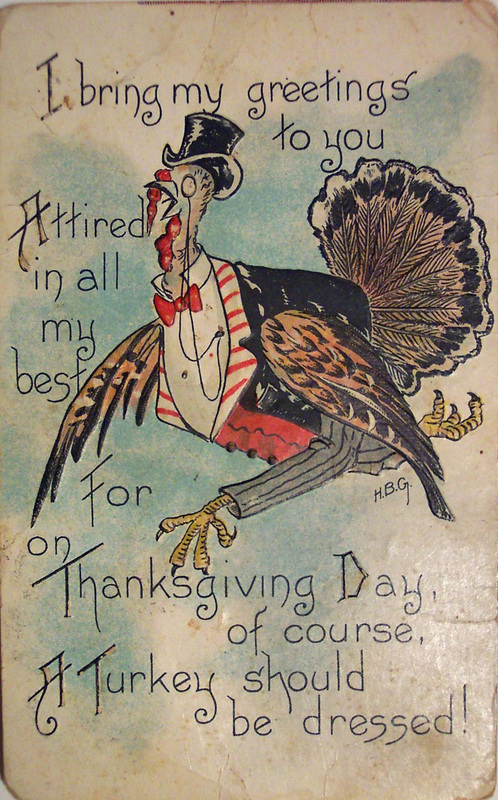 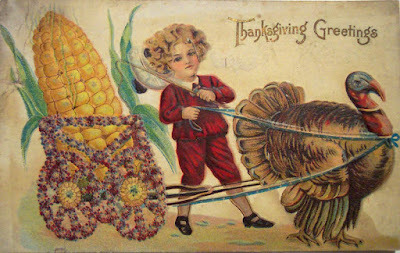 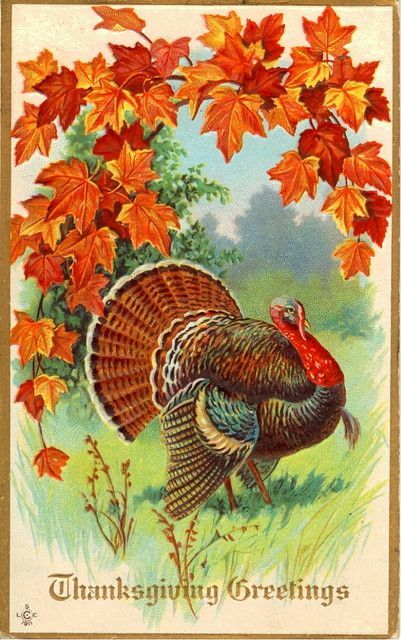 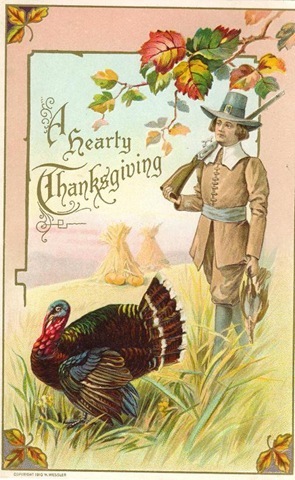 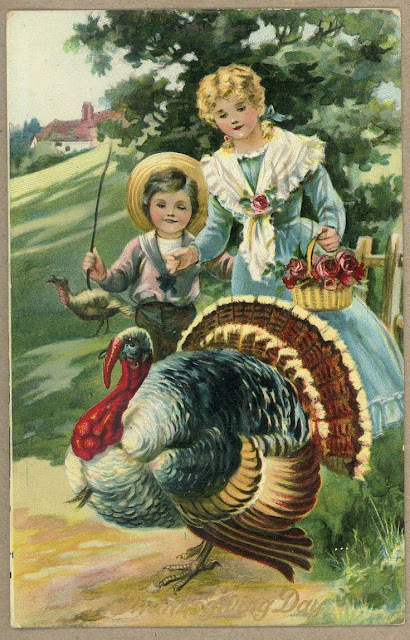 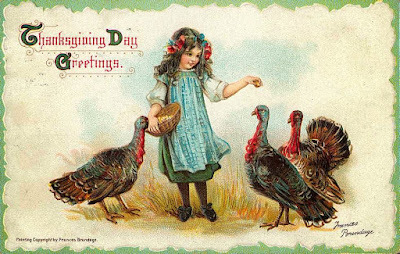 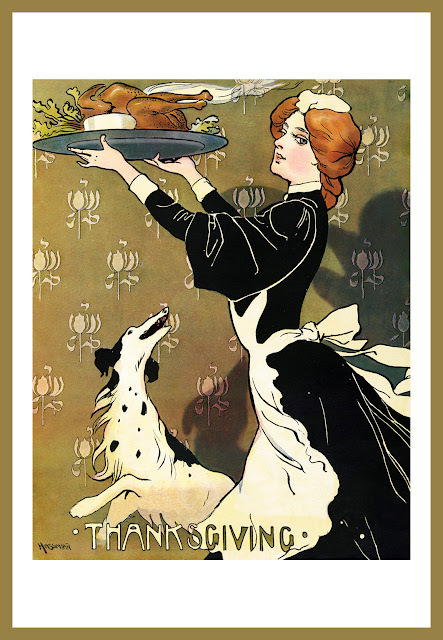 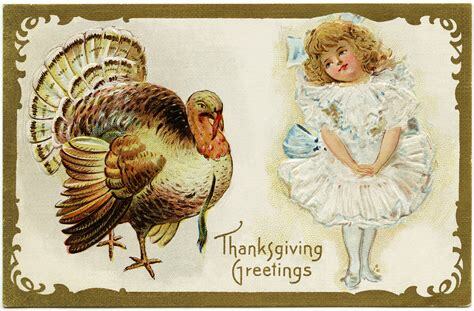 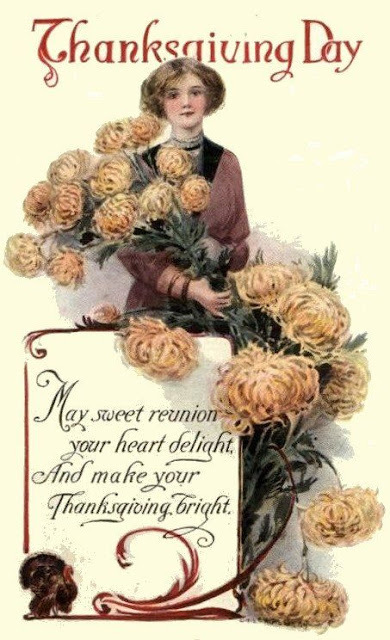 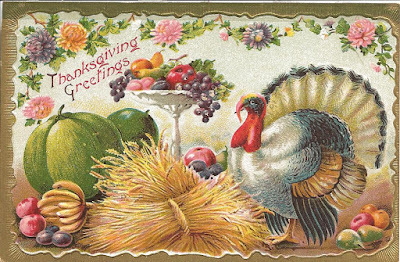 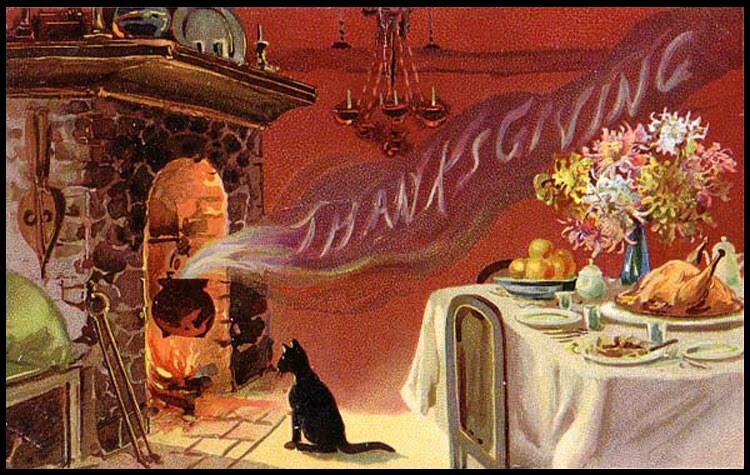 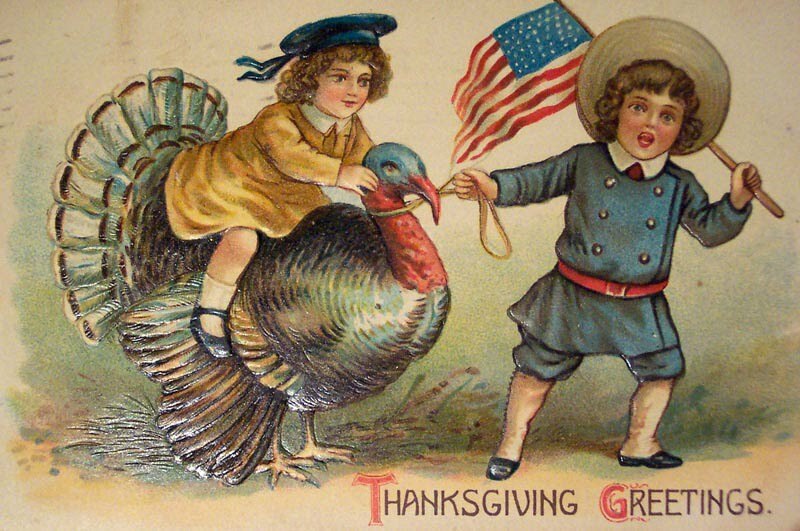 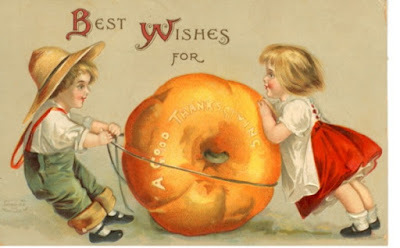 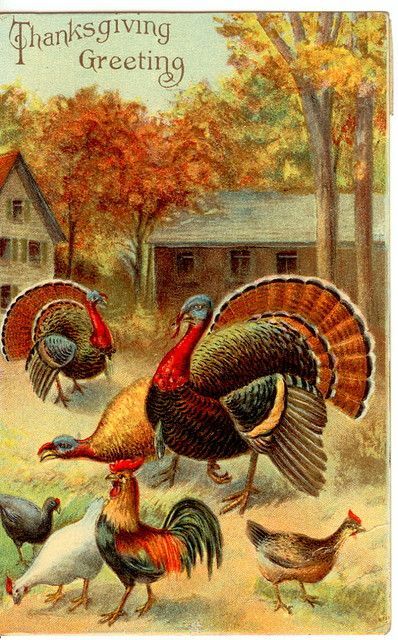 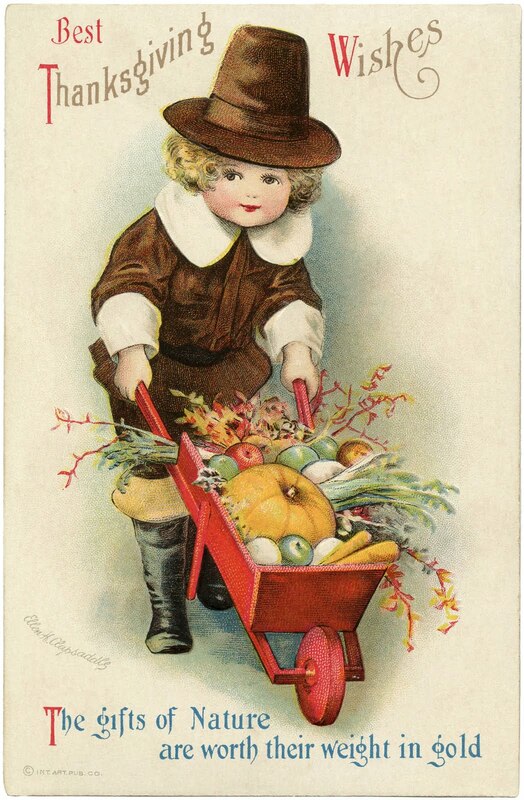 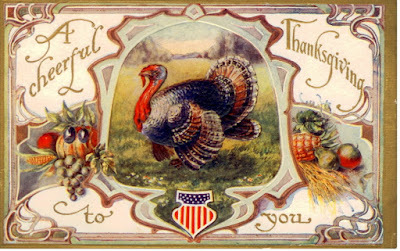 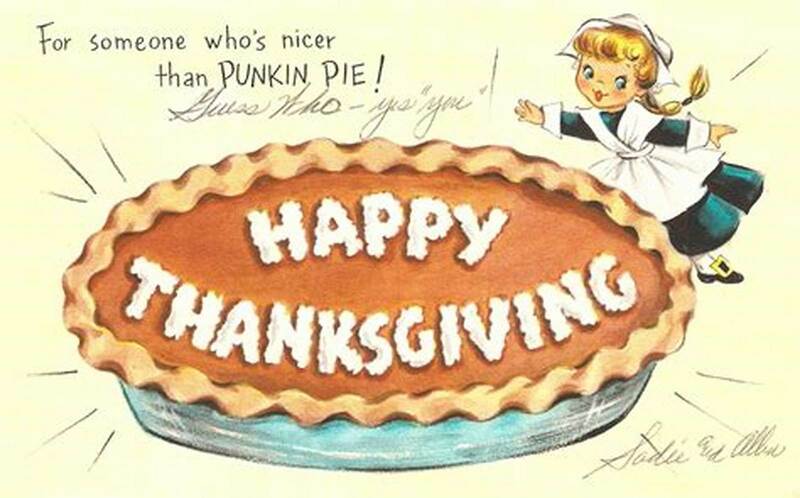 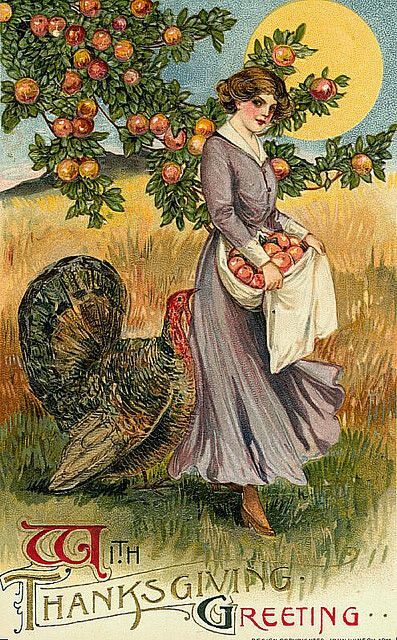 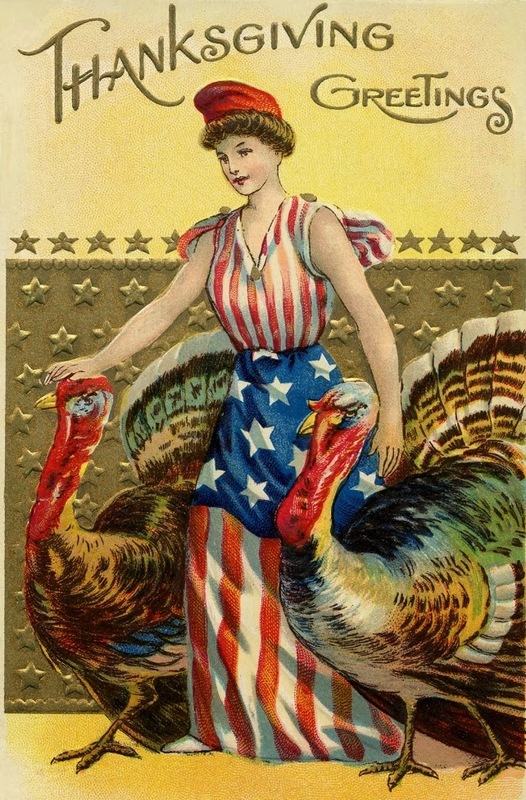 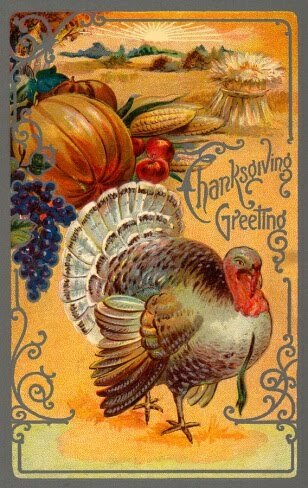 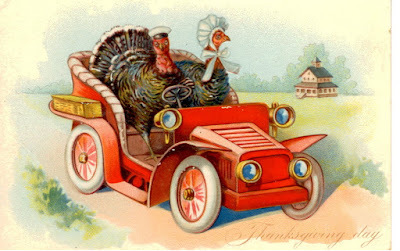 FOR THANKSGIVING THEY DISPLAYED THESE CARDS AT A VICTORIAN TEA SHOP, WHICH IS QUITE POPULAR IN TOWN, EVEN WITH SOME OF THE SHIFTER-SUPERNATURAL GENTLEMEN.